It has been reported that a 44 year old man has been arrested following an incident on board a Holland America Cruise Line ship, where one of the anchors at the stern of the ship was released. The man who was on a cruise to the Caribbean with his girlfriend, had more than just a little too much to drink and his foolish actions put over 1,900 lives at risk. The man wandered into a restricted section of the boat and released the cable holding the anchor up. Thankfully, he wasn’t so intoxicated that he forgot to put on his work gloves before carrying out the act, so his hands were safe and sound. After releasing the cable, he lifted up the bar, turned the handle and “plop”, down goes the anchor. Unfortunately for him, CCTV caught him in the act and when confronted, the man had no choice but to admit what he had done. He has now been taken into custody and is being held by federal authorities. If found guilty (which is quite likely considering he has been caught on CCTV and has admitted doing it! ), the man could face up to 20 years in jail, as well as fines of up to $500,000. On reflection, the practical joke probably wasn’t worth it (especially as it wasn’t even very funny). The offical charge against the man is one of “attempting to damage, destroy, disable, or wreck a vessel”. 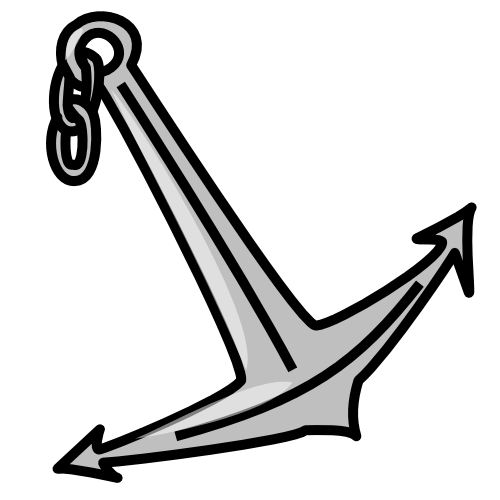 It sounds pretty serious and for good reason, by dropping one of the anchors like this, he could have seriously damaged the ship, leading to flooding which could possibly have led to the ship sinking! Holland America Cruise Lines have released a statement confirming the series of events, and thanking the authorities for dealing swiftly with the manner.